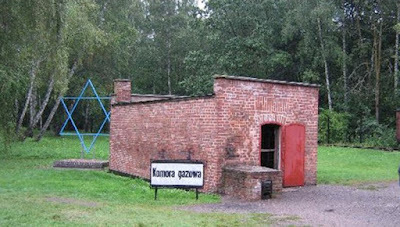 The 94-year-old former SS man who served as a guard at the Stutthof camp has told the court that during his two years’ service he never saw a “gas chamber” or atrocities at the camp—a truthful statement because there was no “gas chamber” at that camp, only a clothing disinfection chamber. 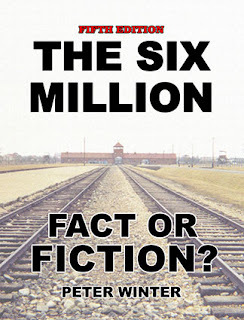 Johann Rehbogen—who can only be identified as “Johann R” in German media—adopted the usual tactic of those being prosecuted in Germany for being camp personnel—that of not contesting that atrocities took place (a defense which is illegal in Germany) but rather just saying that they never saw or took part in any such activities. Rehbogen is accused of “aiding and abetting” murder in “hundreds of cases,” including the “gassing” of 100 Polish prisoners in June 1944. 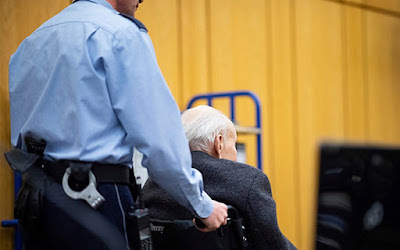 Although he “does not deny being in the camp,” he says he “neither heard anything nor was involved” in any of the “crimes, the atrocities, and the murders,” the Allgemeine Zeitung said. In 1944 he was transferred out to the Western front where he served for the rest of the war, his statement ended. Rehbogen’s denial of ever having seen a “gas chamber” at Stutthof is correct: there was no “gas chamber” at that camp, merely a small clothing disinfection chamber located close to the small camp crematorium. This is also why the media coverage of the trial will make reference to “gas chambers” but will general shy away from showing pictures of the “gas chamber”—because it is so patently not one, despite visitors to the camp being told that it was one.